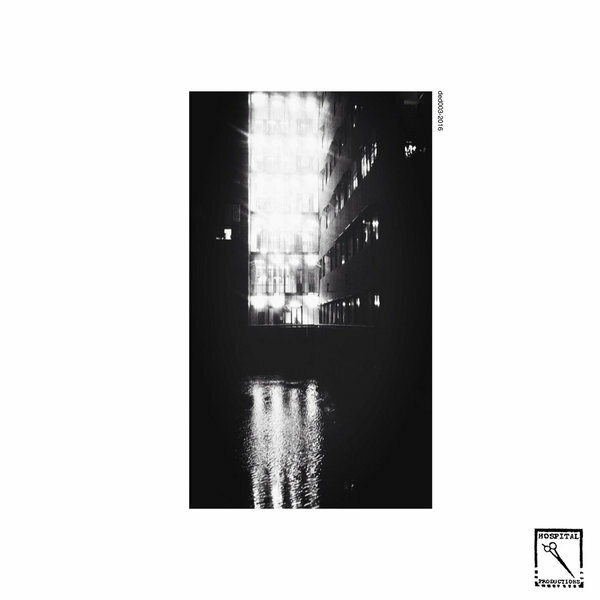 A welcome, unexpected dose of dark ambient composition from Lee Bannon in Dedekind Cut mode for Hospital Productions, diverting the vibes of last year’s collaboraton with Rabit to a more detached, OOBE space just behind the ears, above the head. 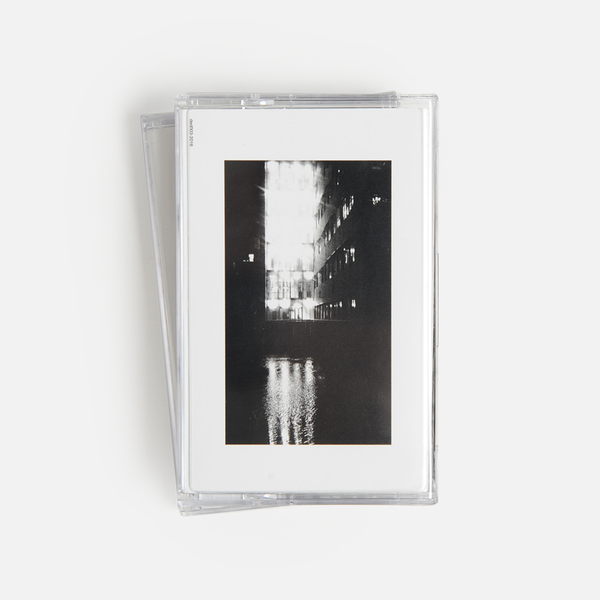 American Zen finds its centre in quivering, pensive drones and fractured small sounds, but is rent with an oceanic sense of scale, deploying splashes of distant percussion, extreme panned vocal snippets and slowly escalating harmonic space perfused by crackling radiowaves and that intangible timbre of an old TV turned on somewhere, but you can’t quite pick out its location. 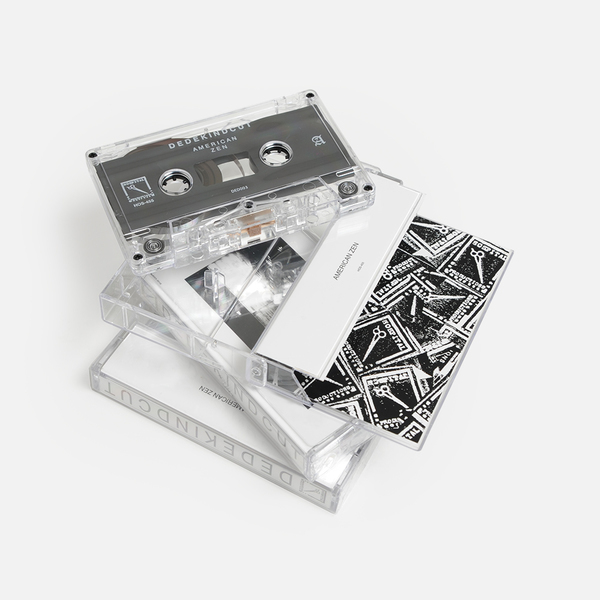 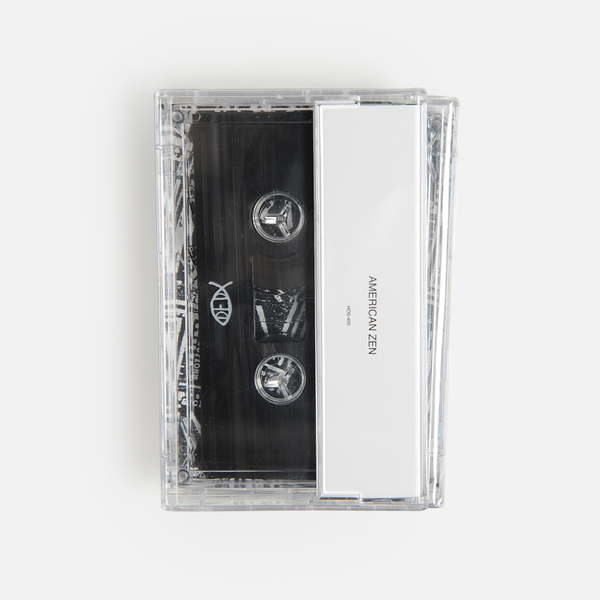 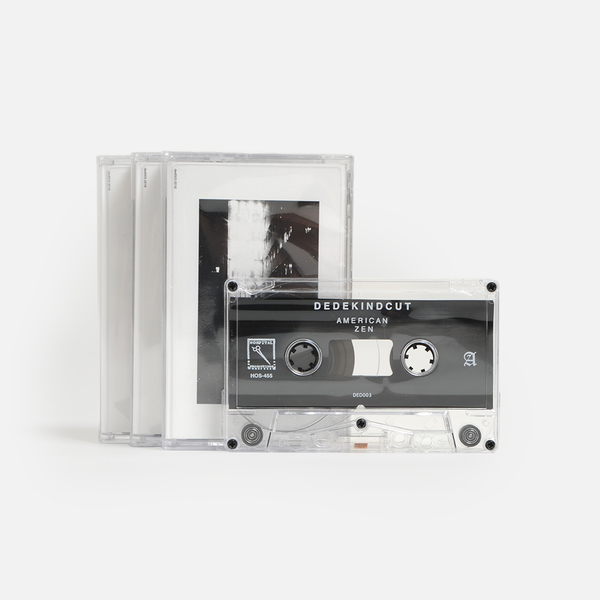 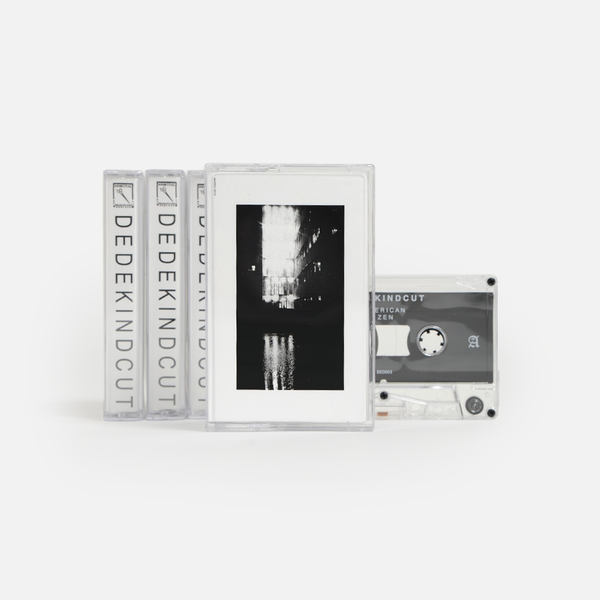 It unfolds at a glacial pace in five parts, crossing lines/waves comparable with Chino Amobi & Rabit’s ultraviolent mixtape, the nostalgic Americana yearn of Torn Hawk, and even The Caretaker’s hallowed aether zones; perpetually out of reach, submerged or hardly there, but feeling as though he’s right there, breathing quietly in the background and watching you listen.Excellent stuff, perhaps the most interesting of Bannon’s releases we’ve heard so far.